Rainbow Trust Children’s Charity is proud to support Baby Loss Awareness Week, which this year takes place from 9-15 October. Miscarriage, still birth or the death of a baby are not rare events, and thousands of people in the UK are affected every year. Baby Loss Awareness Week is backed by more than 60 charities, and culminates in a global wave of light on 15 October (International Pregnancy and Infant Loss Remembrance Day). Together, the organisations are seeking to raise awareness about the issues surrounding pregnancy and baby loss in the UK, as well as pressing for improved bereavement care and a reduction in preventable deaths. In particular, we are calling for all bereaved parents to be offered high quality bereavement care and support, wherever they live, when they need it, for as long as they need it. This is something that Rainbow Trust strongly supports through its experience of supporting families in the most difficult of times. For instance, research by Sands found that bereavement care training is mandatory in fewer than half of NHS Trusts and Health Boards, and, one in three Trusts and Health Boards did not have a dedicated bereavement room in each of their maternity units when last surveyed. 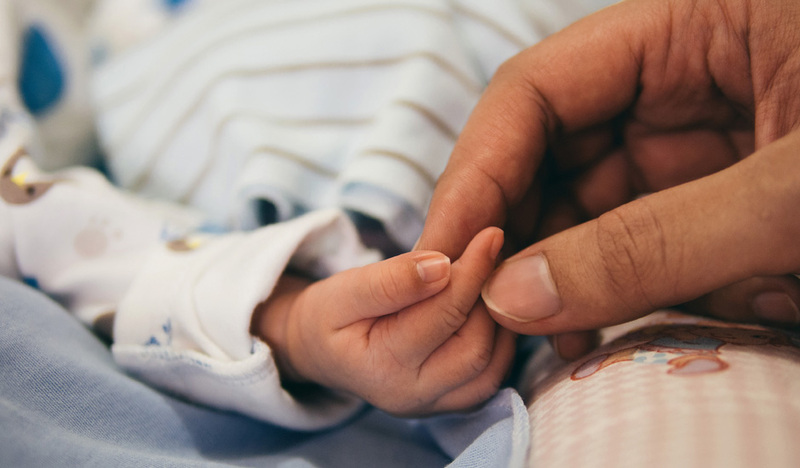 Anne Harris, Rainbow Trust’s Director of Care, said: ‘Supporting families whose babies are in neonatal intensive care is a growing area of work for Rainbow Trust, with our teams supporting 119 families with a seriously ill baby last year. This rise in numbers is partly because more babies are being born and surviving with life threatening and terminal conditions owing to advances in medical technology. To launch the week, MPs are invited to a drop in session on the morning of 11 October where they can meet families affected by baby loss and professionals who support them. There will also be displays on the impact of baby loss, and information about what good bereavement care looks like. You can invite your MP to the parliamentary event on 11 October using this link. You can join the #WaveofLight by lighting a candle for an hour at 7pm on Monday 15 October, in memory of all the babies who lift up. You can order a pin badge here.